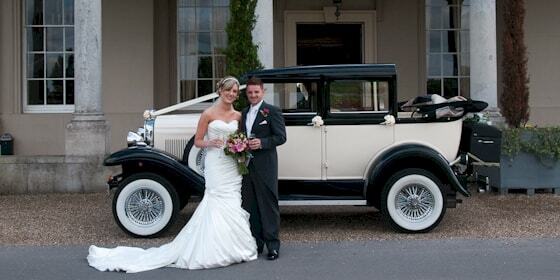 1930's Style Badsworth Vintage Wedding Car Hire Service. 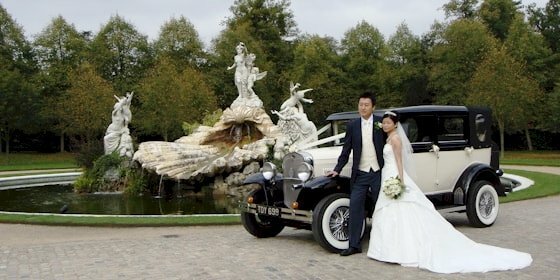 Vintage And Classic Wedding Car. The Badsworth. 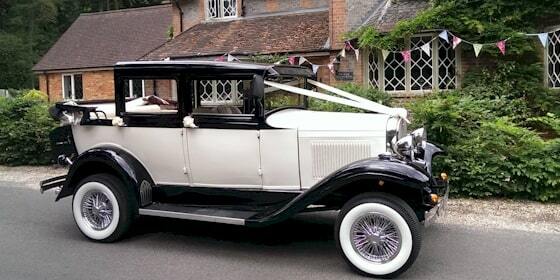 The Badsworth revives the landaulet style made popular during the 1930's at a time when passengers in chauffeur driven cars were considered more important than the driver behind the wheel. On a summers day they would fold down the rear open section to keep cool and would be protected from the wind by the cabin. Nowadays the fold down top allows for fantastic photo opportunities. 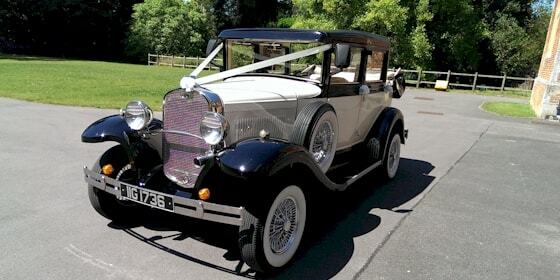 The Badsworth coachwork is finished in Old English White and Black, with sumptuous cream leather interior and walnut fittings, which will complement any colour scheme and the car can be decorated with white or ivory ribbons and bows, or a colour of your choice. 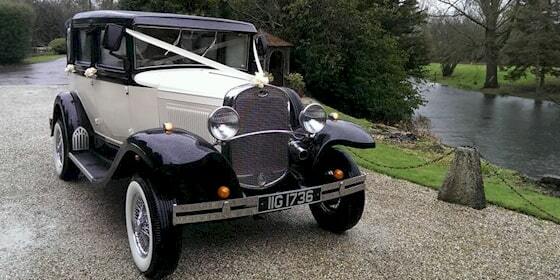 The interior is spacious with wide opening doors to accommodate even the fullest of wedding dresses and the rear folding hood is ideal for that must be seen photo opportunity. 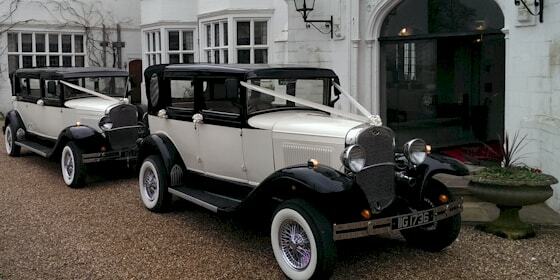 The Badsworth will convey up to 4 passengers in style and comfort and with on board heating is ideal for weddings all year round. 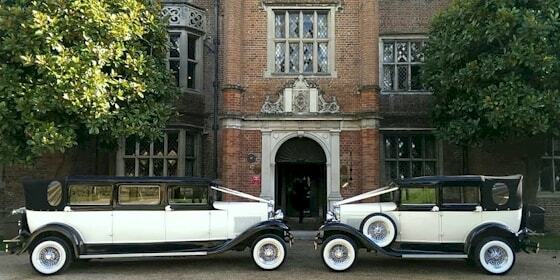 We have 2 Badsworth wedding cars, very impressive when booked together or with our matching 7 seat Bramwith limousine.